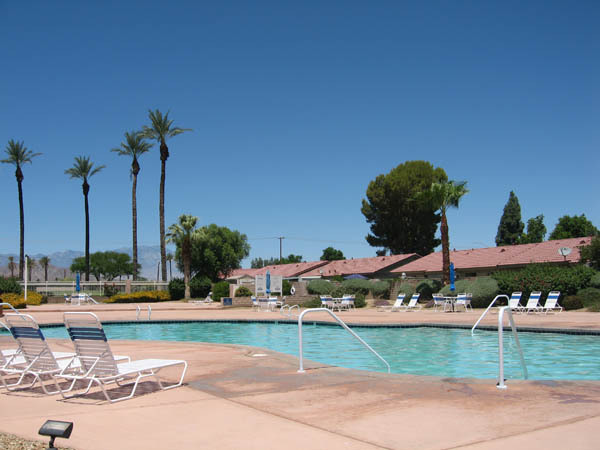 Indian Palms Country Club in Indio has been a long time favorite for people who want a second home in this resort area, or even living here as a full-time resident in spite of the toasty summers here in the desert. It’s been very popular with “snowbirds” in particular, people who flock down here from colder climates such as Canada, as well as the Pacific Northwest and the Mid-West of the United States during our season which offers fabulous weather from November to May, and even into June before it heats up to over 90 degrees. 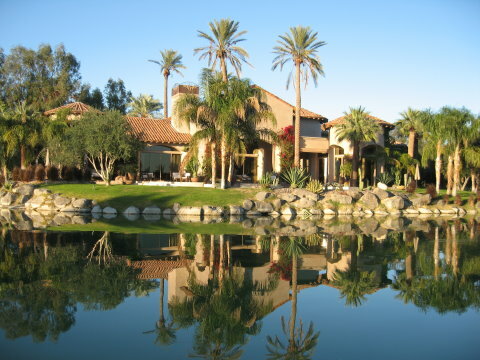 Today, with home prices being still at record lows, many people are investing in Indian Palms Country Club, buying several properties, to rent out long-term or short-term and then they plan on sellng them when the prices climb back up again. In the meantime, they can rent them out easily in this market. There are condos and detached single family homes, many of them built only a few years ago. Some of the houses boast private pools and spas. Many of the homes are built along the golf course or a wide green fairway with meandering streams and waterfalls. The condos have recently ranged in price from as low as the low $30,000s for a foreclosure, and up to $186,000, however the inventory for condos now is down fairly low now: only 10 on the market at this moment. The 18 houses currently listed range in price from the low $100,000s to up to around the mid or low $400,000s, while the condos currently range in price from as low as $47,600 to $165,000. At this time, inventory is also down for detached single family homes, after a buying frenzy within the past six months when 54 single family residences and 30 condos sold. The condos sold with prices ranging from as low as $35,000 to $169,000, while the homes sold for prices ranging from $105,000 and up to $340,000. The overall sales price as a percentage of the list price for condos was 96.82%, and for single family homes, it was 97.25%. I always remind my Buyers that generally the successful offer will be at least 94% of the list price. In Indian Palms, with prices already so reasonable for homes that offer so much value, the successful offer apparently should be around 96% of the list price or more. It is not uncommon for desirable homes that are priced right to receive full price offers, and sometimes even over full price, when multiple buyers are vying for the same property. 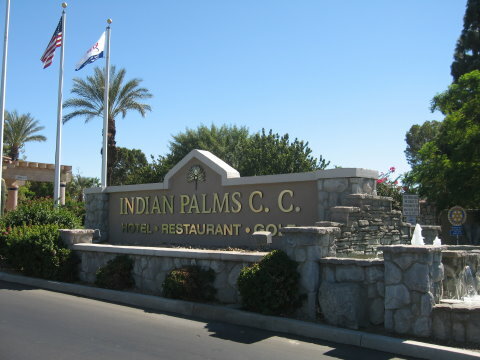 The history of Indian Palms Country Club is reflected in many of the streets which are named after Hollywood celebrities who were friends of the couple who created this resort area, Floyd Odlum, who was the owner of Hollywood’s RKO Pictures, and his wife Jacke Cochran, who was a world famous aviator. 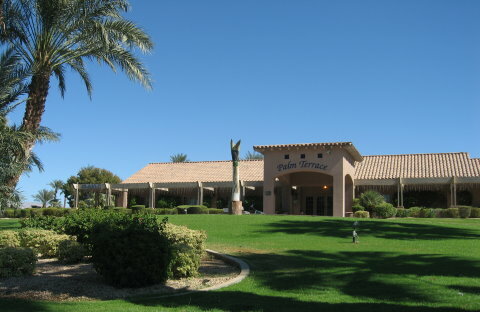 The couple bought the 640 acres for under $100 an acre back in the 1930s, and built The Ranch House, which is now the location of the Golf Shop and Palm Terrace Room. The area is surrounded by mountain views and is lush with flora includng fruit and palm trees, and provided a wonderful backdrop for entertaining their Hollywood friends and even US presidents. Today it continues to offer this to its many residents, whether full-time or part-time. 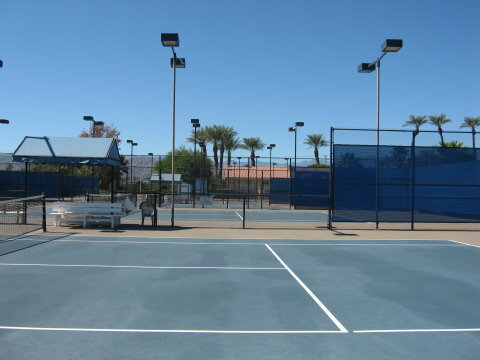 Within the guarded gate entrance of the community, the allure of Indian Palms Country Club is still strong with all the resort amenities offered such as public golf courses, many community pools and spas located throughout the community, and a Lifestyle Center which features tennis courts, a huge pool, and fitness equipment. 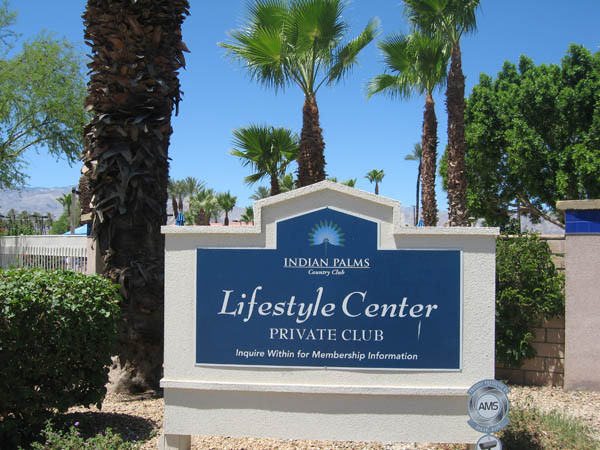 There are about 17 HOAs throughout Indian Palms Country Club, and some of the HOAs even include the fitness in the low HOA dues, which range from around $250 to $375 per month. Even if the Lifestyle Center is not included with the particular HOA that manages the particular community in which your house or condo may be in, you can pay a small monthly fee to join. 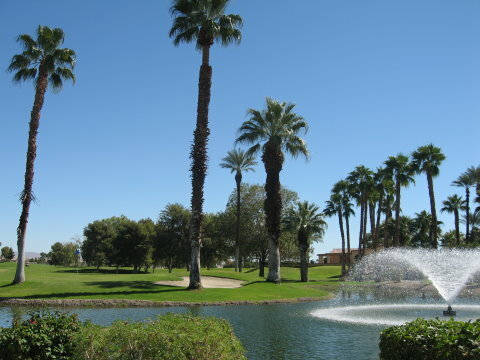 In the immediate area around Indian Palms Country Club, there are many luxury homes and the ultra prestigious Madison Club is right around the corner. 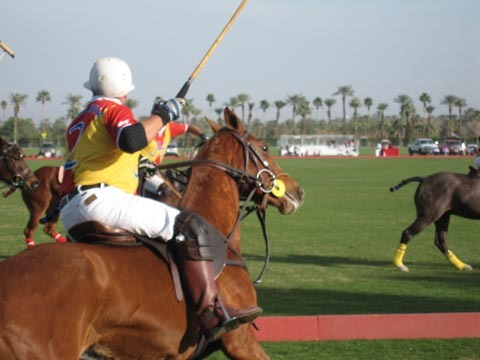 There are two world class polo clubs around the corner as well: the Empire Polo Club and the El Dorado Polo Club, where anyone can go and watch the exciting polo matches. 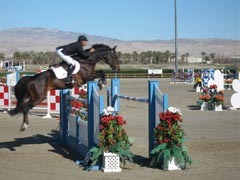 As soon as polo season is over, then the world famous music festivals take over, including Coachella, Stage Coach and more! There are also many popular stores and restaurants nearby, so it is a very convenient location. There are also posh casinos nearby that offer entertainment, fine cuisine, cocktail lounges and of course, gambling. 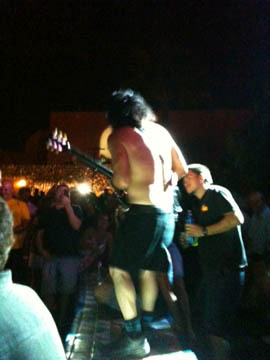 Fantasy Springs features live free concerts under the stars with talented “tribute bands” such as Bonfire who pay tribute to ACDC (pictured below) as in channelling the ACDC experience, in this case. 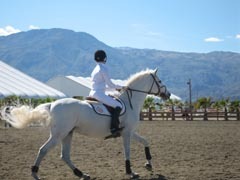 It is also a short drive to the HITS (Horses In The Sun) events which feature international dressage and jumping competitions for equestrians and their beautiful horses, in nearby Thermal, and the public is invited! Seeing all the beautiful horses against the backdrop of majestic mountains and rows of palm trees is truly a sight to behold. Besides the music festivals, Indio is famous for its many fun, family-oriented festivals, such as the Date Festival, where you may find belly-dancers and ostriche-riding races among other things! 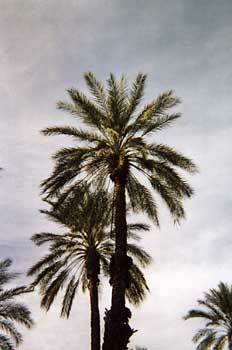 Indio and its neighboring towns are famous for providing the US with 95% of the dates that are sold. Date shakes are a delicious desert treat! Shields Date Farms has a retro diner and shop which sell desert souvenirs including a huge variety of dates. For those of you who are investors, here is an example of a savvy Canadian couple who recently bought four investment properties within the last few months with me as their realtor. They first bought a three bedroom, two bath home built in 2003, for only $136,000. It was in great move-in condition, with a separate laundryroom, and an attached two car garage. I got it rented out to a nice family for them in under a week’s time. It was previously owned by an investor who had bought it as a foreclosure on the courthouse steps, who fixed it up a bit, and put it on the market with an attractive price. I advised my clients to move on it quickly and they did, and it’s already paying for itself. Next my clients put an offer on a short sale house, meaning the sellers were allowed by their bank to sell the property for less than what they owed on the property, which is a fairly common occurence these days. This two bedroom, two bathroom home boasts a private pool. My clients’ counter offer that was ultimately accepted was $156,000. 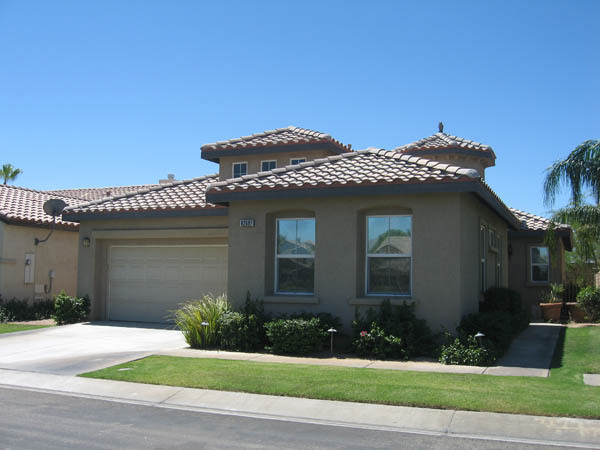 Not bad for a California home built in 2003, in a gated community with its own private pool! The deal closed in 3 months, which is about the average for short sales. Also rented out right away. 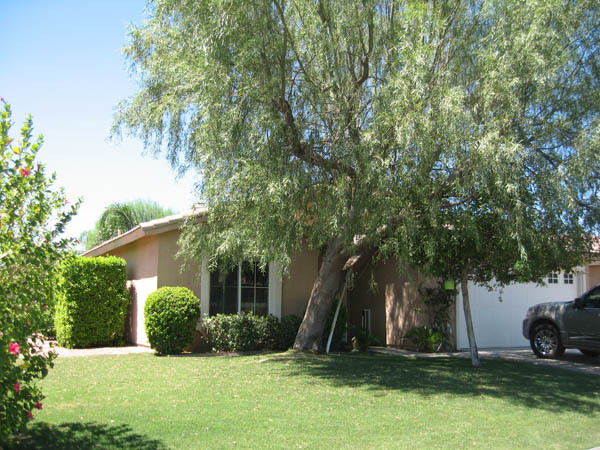 Next up, my clients saw another beautiful home in Indian Palms that was a short sale, and I assisted them with writing up a counter offer that was accepted for this designer-decorated 4 bedroom, 3 bathroom home built in 2003: $143,000. Amazing value! 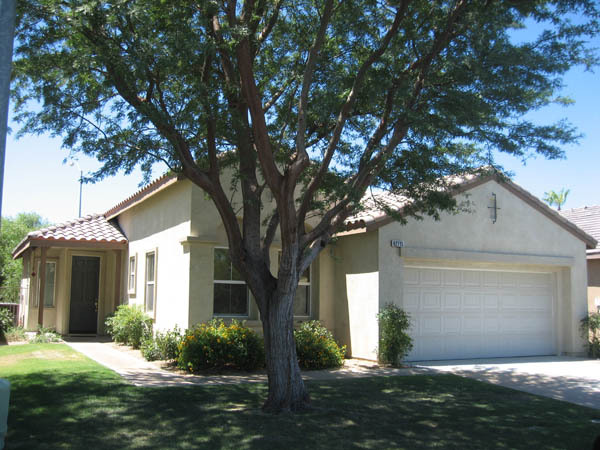 And this short sale closed in a record 3 weeks! Also rented out quickly! 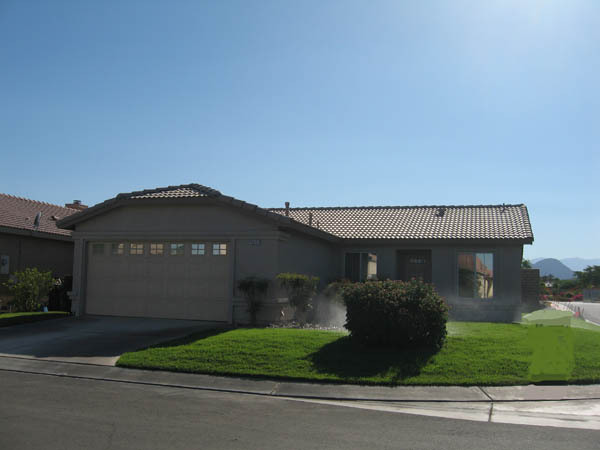 Again, another attractive house in Indian Palms came back on the market after falling out of escrow. It was a foreclosure and extra paperwork was involved. But it was worth it, as the sale price for this home built in 2001 ended up being $116,000 for this recently remodeled 2 bedroom, 2 bathroom home on a quiet corner with a private backyard. And it was rented out within a week of being listed! My clients knew the value of these homes since they had been vacationing in Indian Palms for years, including the heyday years of high prices from 2004 to 2006, and kept an eye on the falling prices and felt that this was now definitely the time to start investing. I think they are right, too, since inventory is now low and prices in some areas of the Coachella Valley are beginning to climb again. It’s only a matter of time when prices start climbing again in Indian Palms as well. 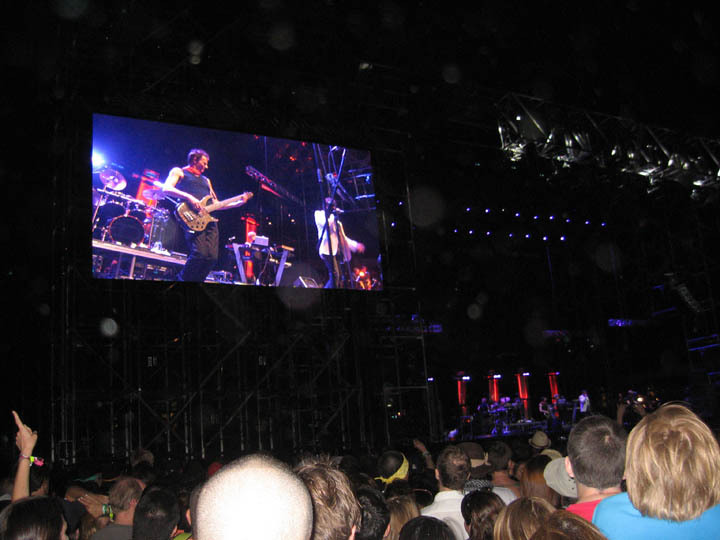 I wasn’t planning necessarily on attending the Coachella Music Festival 2011, especially since tickets for it sold out the day they went on sale. However, since one of my favorite groups of all time, Duran Duran, was playing, I did not rule out the possibility of trying to get in to see them SOMEHOW or another. 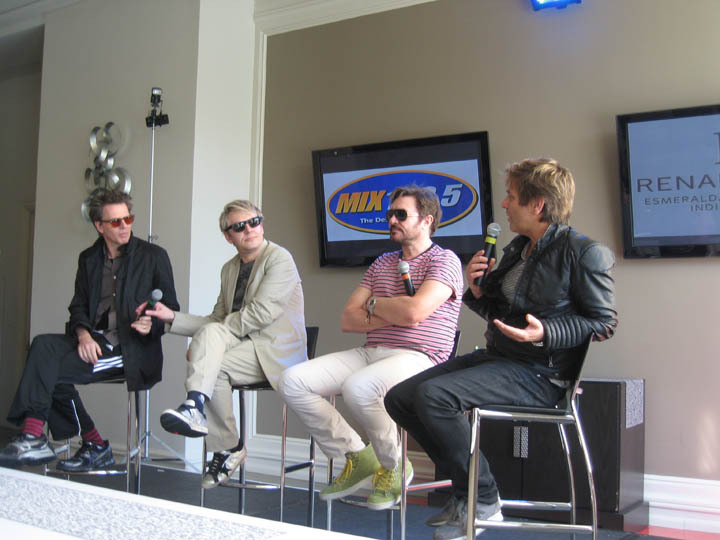 I was lucky enough to attend a private party held by the Radio Station Mix 100.5 at a local hotel for Duran Duran. I’ll say LUCKY! I got some great photos of the band members up close, AND I actually got a photo taken of me in between Nick Rhodes and Simon Le Bon along with John Taylor and Roger Taylor, and three other Duran Duran fans, which I am looking forward to seeing on the radio’s website. 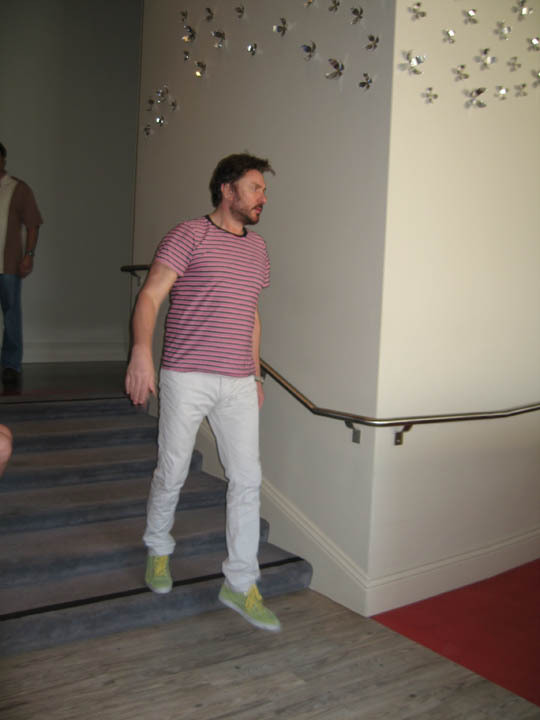 In the meantime, I shot this photo of lead singer and frontman Simon Le Bon as he entered the room to the stage where they would answer questions from the audience which had been pre-written on cards. The band members sat on the stage and answered the questions with typical dry English humor as well as a sense of warmth and gratitude. Roger Taylor, the drummer, especially expressed his appreciation of Duran Duran’s invitation to the Coachella Music Festival, saying it was a highlight of his career with Duran Duran. Duran Duran was one of the hottest rock and roll bands in the 1980s, and they were early pioneers in stylish music videos for their songs which aired on MTV. They were glam rockers with catchy tunes that were rock-based and dance-inspiring. Their luxurious lifestyles that included yachts, private jets, models, partying in style in all the hotspots, also caught the imagination. Their hit “View to a Kill” was featured in one of my favorite James Bond movies by the same title. Since the 80s, they have periodically staged “comebacks” and now they have a new album called “All You Need Is Now”. 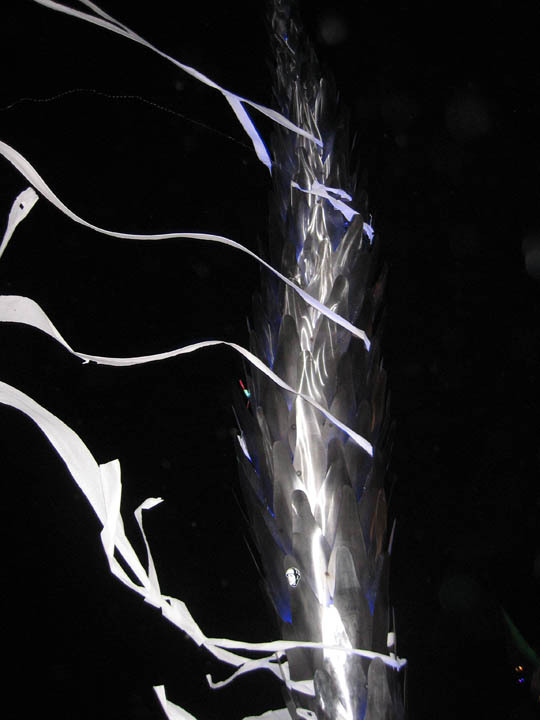 I have the CD and have listened to it several times since I received it yesterday at the private party and it is great! They have returned to their roots– the catchy, rock-dance-pop sound that made them hugely popular in the first place. I highly recommend it! Here is a group shot I took of the guys on stage, as they amused the adoring audience. One of the fun questions that was posed to them was, “What did you spend money on as soon as you hit it big financially?” John Taylor said” a car”; Nick Rhodes said “art”; Roger Taylor said “a Mercedes”, and Simon Le Bon said he spent it “on a long string of beautiful women”, which cracked everyone up. 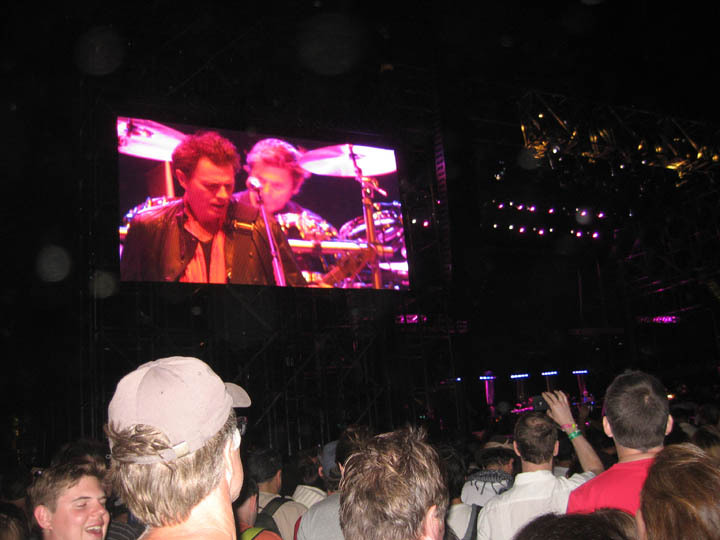 So, after that fabulous experience, I was more determined than ever to see Duran Duran at the Coachella Music Festival, especially since it is 15 minutes away from my home AND especially since I missed Woodstock in 1969! This year’s festival sold out in one day! And so I was going to have to get creative to attend. I drove over to near the restricted area and parked at a friend’s house. And trekked over to where many attendees were streaming out, figuring my best bet was to buy a wristband (absolutely necessary for attending! no ifs, ands or buts, as I found out!) from someone leaving. After all it was the last night, a Sunday, and I figured many would be leaving to drive back to LA so they could get a good night’s sleep before working on the next day. I met about three people who had luck doing just that in my efforts to flag people down to sell me their wristband. Some paid $80, one paid, $38. I ended up paying $20! All I had on me was $25 anyway. So, SUCCESS! Getting the wristband was the main hurdle. But then there was the seemingly endless, dusty trek to get to the gates into the festival. Literally, I walked MILES to get there! In high-heeled platforms, which was ridiculous, of course, to wear in the first place to such an event. I heard Duran Duran hit the stage. I was anxious to get in! Finally I got in, but wait! At first the chip in my wristband failed! OH NO! But then– YAY! On came the Green Light when the guards scanned it again. OH my God. All this high tech stuff is freaky. So I limped and sprinted across the fields toward the sounds from the stage where Duran Duran was playing, and there they were and there I was. GOOOOOOOOOOOAAAAAAAAaaaaaaaaaLLLLLLLLLLL!!!!!! They sounded great, and looked great. 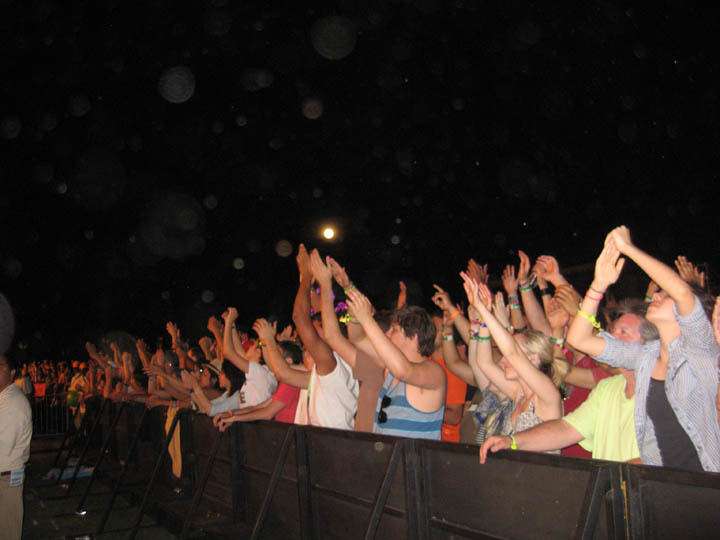 The crowd was enthusiastic and many sang along with the band, showing that Duran Duran has fans from all age groups. They had a great light show as well, especially during their James Bond hit “View to a Kill”. 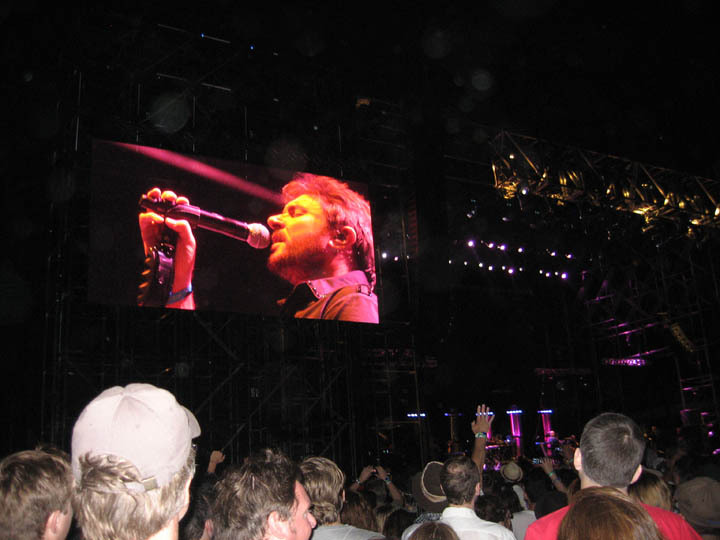 Simon Le Bon is a top frontman, elegant, with an exuberant personality and understated charisma. After Duran Duran played, I stuck around for a while, listened to a song by the following band the Strokes, but decided to then check out some of the art. After a while the melange of sounds and glowing lights and rambling people made me feel like I was inside of a giant video arcade. 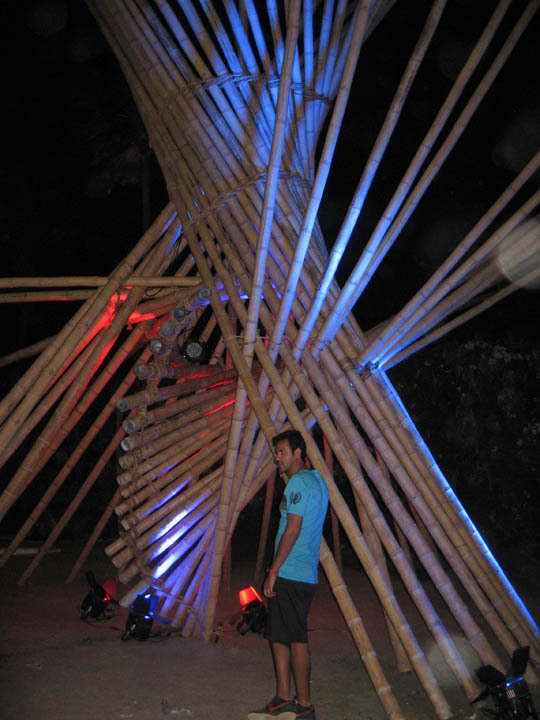 I was more an observer at this festival than a participant. After all, this is the Woodstock of this generation, not mine, but I was happy to observe and be a participant even at a limited level. It was great people-watching and a beautiful evening under the full moon and bright stars on a warm desert night. I loved the wild and creative spirit, but it was highly organized, much more so than Woodstock was, obviously! Fortunately, on the way out, a nice young couple on a golf cart took mercy upon me and gave me a hair-raising ride across fields, down dirt roads and through the crowds to one of the main roads that was closed off. They dropped me off, and I discovered I still had at least a half mile to walk down the corner where my indulging husband would be able to pick me up. He took forever, because in his words, “it was like a police state” getting through detours and checkpoints, to find me. All in all, it was an unforgettable experience, and alot of fun, in spite of my aching feet which are only now recovering. I am grateful that I was able to have this experience, and I am glad to be able to share it with you! 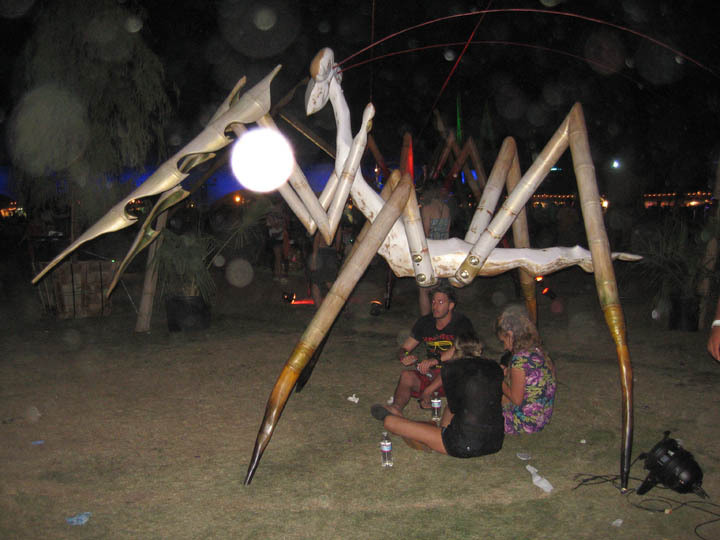 The Coachella Music Festival helps to put this wonderful desert on the map, including for people who are looking to buy real estate. This is a beautiful spot on our planet earth, and it is very reasonably priced, especially at this time. As more and more people discover this area, more people will want to call the desert their home, at least for part of the year. As a full-time realtor, I can help you find your piece of paradise here!